Questions? Call us at 00800 7253 3333. At Salesforce, we understand what it means to grow from a scrappy startup to an enterprise software leader. For small businesses, growth is top of mind — regardless of what industry you’re in or what your business plan looks like. After conducting hundreds of interviews with small-business leaders, we wanted to collect some of their best insights in one place. 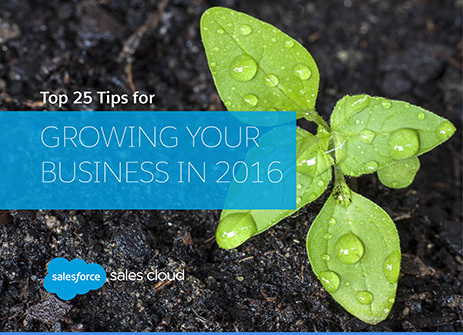 Think of this e-book as a jumping-off point for business growth: all of the wisdom you need to succeed in 2016.